At Mike’s Custom Flooring, we offer a wide range of flooring options that are both beautiful and durable. 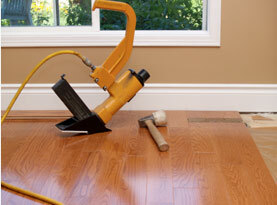 One of the flooring options we offer is gaining popularity among many homeowners. Luxury vinyl plank flooring is becoming a popular choice that adds beauty and style to any home. Following are some of the reasons you may want to consider luxury vinyl plank flooring in your home. When you have the flooring experts at Mike’s Custom Flooring install luxury vinyl plank flooring in your home, the possibilities are endless. You can have a glamorous look in your home without the high price tag and lack of durability. Luxury vinyl plank flooring comes in a wide variety of colors and plank sizes depending on the style you are trying to achieve. They have the appearance of real wood, stone or tile floor and can completely transform your space. You can count on luxury vinyl plank flooring as a low VOC flooring option. They won’t emit chemicals into your air, reducing the indoor air quality of your home. They are made of economical materials and a flooring choice that you can feel confident in making; knowing that you are choosing a flooring that is environmentally friendly. 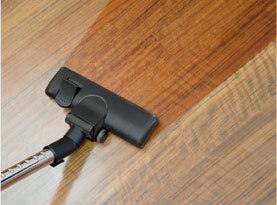 One of the best benefits of luxury vinyl plank flooring is its versatility. Luxury vinyl plank flooring is completely waterproof which is a game changer. 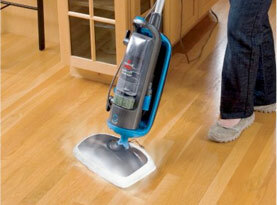 It can be installed in any room in your house without the worry of damage. This durable flooring choice is a great option for the bathroom, kitchen as well as other areas of your home. Without the need to worry about water damage, it makes luxury vinyl plank flooring a great choice for your entire house. When you choose hardwood flooring for your home, it requires a certain amount of care and maintenance to keep it beautiful and avoid damage. With luxury vinyl plank flooring, you don’t have to worry about young kids scratching your floors or the pets leaving gouges in the planks. It is truly a maintenance free option that will still look just as beautiful 20 years later no matter how rough you have been on them. Luxury vinyl plank flooring is literally a fraction of the cost you will find yourself paying for traditional solid hardwood flooring. You can have that same luxurious look in your home without paying the hefty price tag. When you choose Mike’s Custom Flooring to handle your luxury vinyl plank flooring installation, you know the job will be done right. 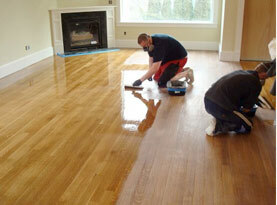 We work diligently to ensure complete customer satisfaction with every job we complete. Our customers are very important to us and we will go the extra mile to make sure they are pleased with the flooring installation services they receive. Call us today for more information about our luxury vinyl plank flooring services.